Houghton Mifflin Harcourt, 9780471292777, 368pp. 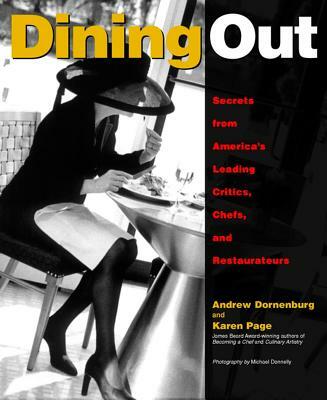 KAREN PAGE is the coauthor of a groundbreaking series of books chronicling America's vibrant restaurant culture, including the James Beard Award-winning Becoming a Chef. She is the recipient of the 1997 Melitta Bentz Award for Women's Achievement, and a graduate of the Harvard Business School (whose alumnae network she heads) and Northwestern University, which named her to The Council of 100 leading alumnae. ANDREW DORNENBURG is the coauthor of a groundbreaking series of books chronicling America's vibrant restaurant culture, including the James Beard Award-winning Becoming a Chef. Dornenburg has cooked professionally in some of the best restaurants on the East Coast, including Arcadia, JUdson Grill, and March in New York City, and Biba and the East Coast Grill in Boston. He attended the School for American Chefs, where he studied with Madeleine Kamman. MICHAEL DONNELLY is a New York-based photographer whose work has appeared in Elle, House & Garden, Travel & Leisure, and the World of Interiors. FIONA DONNELLY is a feature writer, fashion stylist, and contributing editor at Bride's.